We Buy/Sell Gaylord Boxes VA. If you are in need of lightly used gaylord boxes, simply fill out the box buyer form below and we will have your request sourced immediately. It is our goal to provide our customers with the boxes that they need as quickly as possible. Our complimentary gaylord box recycling service is available all customers within the state of Virginia, and Washington D.C. No matter where you are located, we will send one of our trucks to pick up all of your unwanted inventory. We are always looking to buy lightly used gaylord boxes. If you are in possession of boxes that you would like to sell, fill out the box seller form below, and we will contact you about purchasing your boxes at a per-box rate. 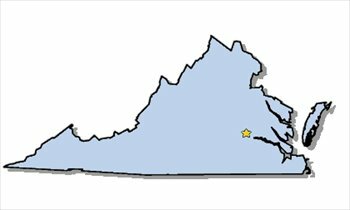 We proudly service customers’ boxing needs in the great state of Virginia. We have suppliers in the cities of Norfolk and Richmond, and are actively seeking partnerships in the cities of Charlottesville, Virginia Beach, and Washington D.C. We also have an abundance of boxes in the bordering states of Maryland, North Carolina, Tennessee, and Kentucky, which provides us the ability to guarantee our customers preferable shipping rates. If you’re currently looking for boxes and do not see any suitable listings, simply fill out a box buyer form and we will have your request sourced immediately. Once we have located the boxes that you are looking for, we will contact you to arrange the delivery. One of the most popular features that we offer to all of our customers is our free gaylord box removal and recycling service. We will send a truck to your location and pick up all of your unwanted inventory at no cost to your business. Lastly, if you’re looking to sell your lightly used gaylord boxes, fill out our box seller form and we will reach out to you about purchasing your boxes. We will buy boxes of all strengths and sizes, the only condition that we hold is that each box must be either grade A or B+. We look forward to doing business with you!